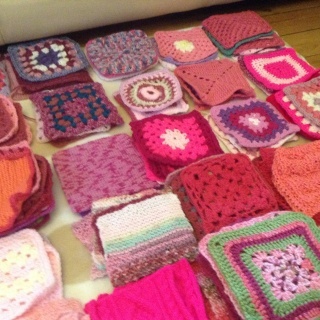 I now have 182 squares, which is gobsmackingly awesome. I have a fab weekend ahead of me when I can get sorted and start joining. I have done 2 but been so busy I haven't done the other 2 yet. I will though. I think she really needs this blanket. Alice and I had a good look at this picture earlier. 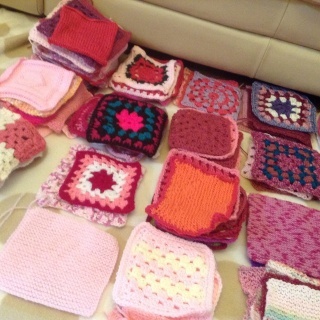 She was very impressed with all the squares: "most of them did crochet, Mummy. But you weren't clever enough, were you?" 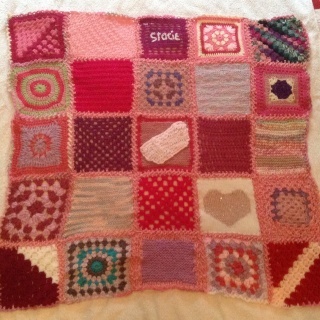 She was then incredibly happy to see one of my squares on the cover page of the fb group, though. Her final shot: "You must all like your special friend very much." Awww, this is lovely! 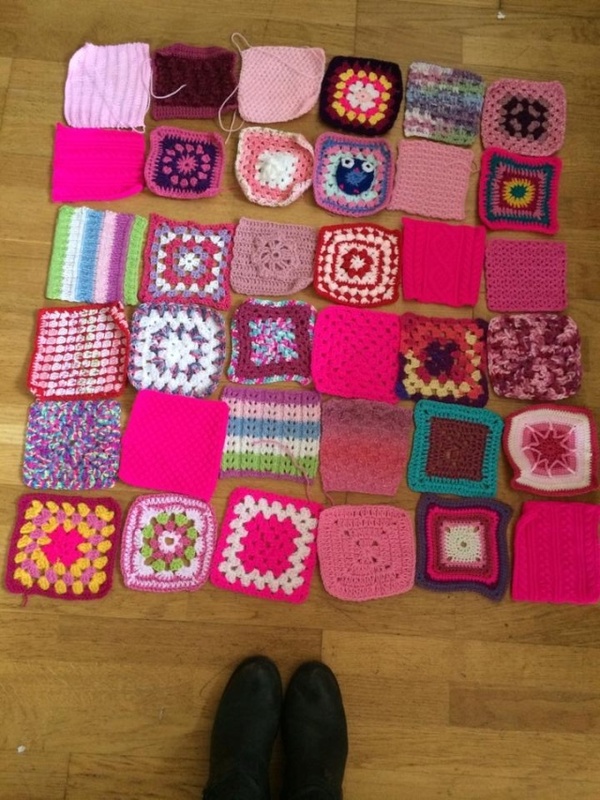 Isaac keeps talking about my friend who is poorly and the squares we're making and that they're going to be made into a blanket! Mine are parcelled up and ready for posting in the morning. 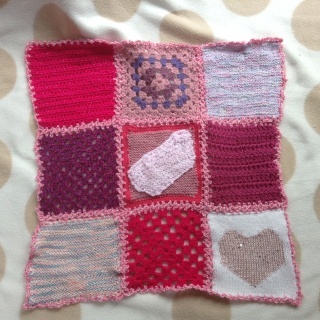 I have a friend who has made a square too. I think Stacie's story has touched a lot of people. Sarah you can tell Alice from me that knitting is *much* harder than crochet. 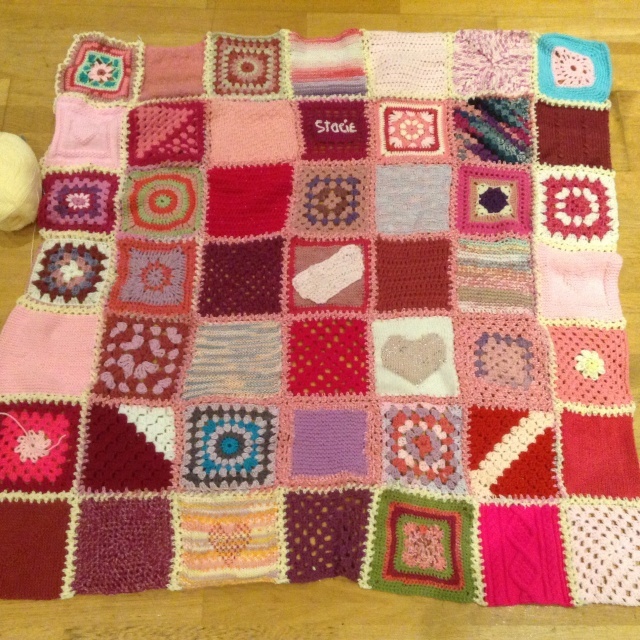 In actual fact I was showing a friend your beautiful knitted squares and said that you had just started knitting like me, and she picked up my knitted rag square, looked at it and laughed! I simply can't wait for her reaction when she receives it! It occurred to me this evening that Ieuan is now old enough that he may wonder why May is getting a present but he isn't? 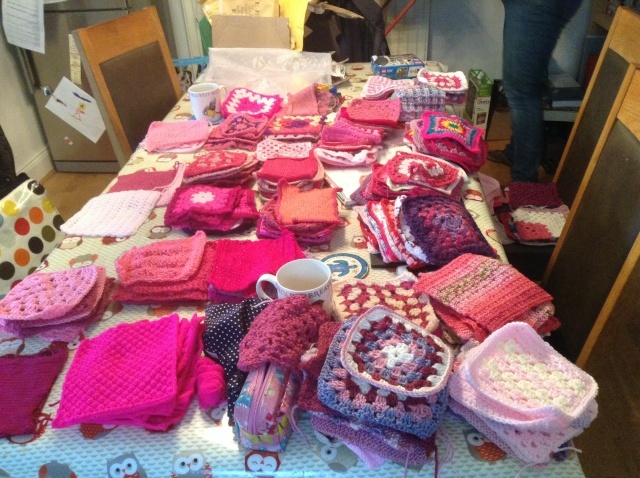 Not sure if there's a solution to that one unless there are enough spare-and-not-too-pink square to make him something??? Lynn is on the case Morningstar. 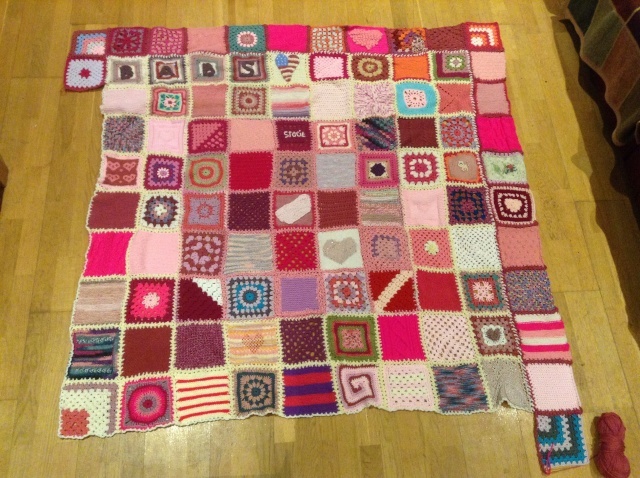 Her class have been making lovely blankets and she has earmarked one for Ieuan. 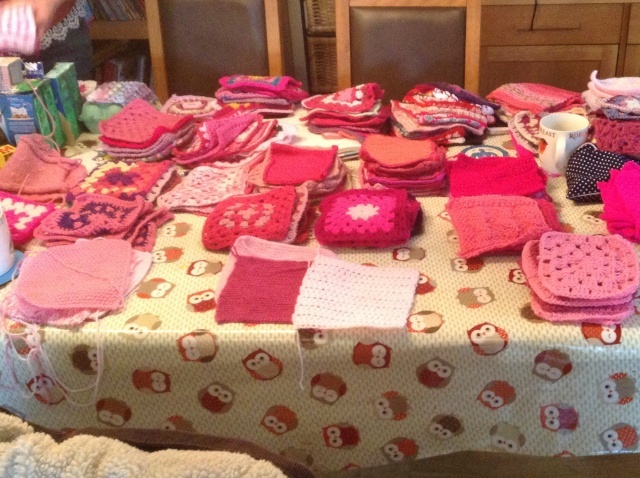 Still need to edge this round before I can begin joining the next one but time for bed for me now! Just over half way round the last round. Subject: Re: MJ's magic blanket.